Do you remember the time when we used to see comics and our eyes used to light up-Whether it was Tinkle, Archie’s, or Tom and Jerry. Today’s new era of literature is full of possibility for different opportunities. Books are not only “paragraph” now. It’s more of a representation that a reader would be able to understand to the very core. “A picture is worth thousand words”- there come a very lively trend in books- GRAPHIC NOVELS. They illustrate the story with picture and dialogues- which are different from general poems, stories or novels- but they tell the story with the same heart. There are several known novels whose graphical novels are made like- Harry potter, Twilight, Catcher in the Rye, Fun Home, House of night, and American Born Chinese. Answer to this question is “Everyone”. There are many of us who believe it is only for kids or teens but it is evidently not true as graphic novels have addressed such diverse topics like baking bread, romantic stories, Shakespeare, ballet and even AIDS. If there are benefits, then obviously there can be side effects too. The cons can include- little literature knowledge to be gained. If someone wants to enhance their English, play with words, learn meaning to new words then this medium can be a bit disappointment. Some of us pick novels over these as it satisfies their taste buds for reading. This question is bit tricky as it is dependent on the person’s choice. But mainly, to count the plus areas of these novels, one would say this are- illustrative, easier to understand and are for quick reads. It is a great medium for kids to encourage reading. There are some proposals for inculcating it in education in our near future. It is not only readers but educational institutes, libraries and even movie producers, who are interested in these novels. They have given tremendous plot to some of the very well-known movies like Batman, Sin City and Persepolis. 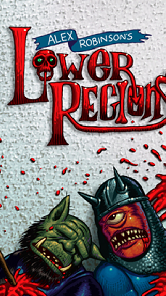 Lower Regions: Defense of the West Gate by Alex Robinson– it is full of caves, fantasy characters. After getting it from my friend the sentence that came to my mind was-“The action without word.” Overall worth a shot. 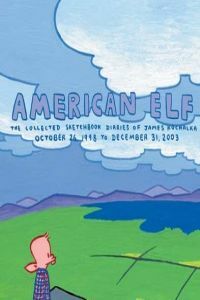 American Elf 1999 by James Kochalka– who said an autobiography can be written or tell to whole world by novels only. We have seen several of autobiographies but this one is unique. It mixes everyday lifestyle of the person by graphically representing it, but still maintains it charm. 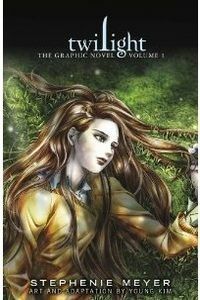 Twilight graphic novel– for all the twilight fan it is like a cherry over the cake a sure read. With the increase in attention for graphic novels, this comic-style presentation is gaining popularity as a true literary art form, not just an insubstantial, feeble thing. These novels- slowly but with a bang, came into the mainstream where there are bigger fishes in the ocean. It made its own place in that and they had a long way to go.